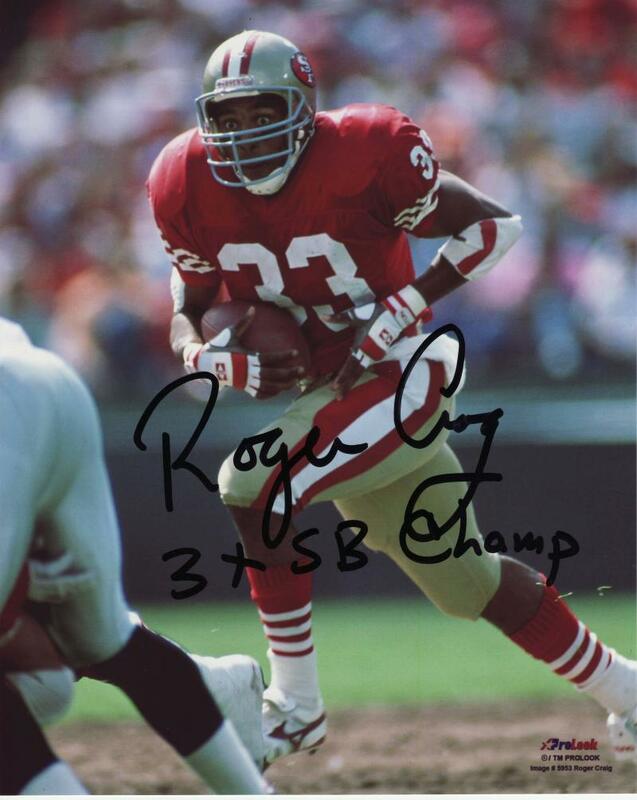 Roger Craig San Francisco 49ers Autographed 8x10 #328 with "3xSB Champ" | Sports Memorabilia! 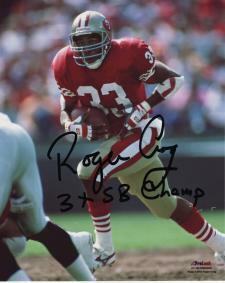 Roger Craig San Francisco 49ers Autographed 8x10 #328 with "3xSB Champ"
Roger Craig "Eyes Wide Open" shot. He signed this 8x10 photograph with a special inscription of "3x SB Champ" in black. Each photo comes with a numbered NSD hologram and matching Certificate of Authenticity.